Did you know that according to the American Cancer Society there will be more than 226,000 new cases of invasive breast cancer in 2012? The chance of a woman having invasive breast cancer at some point in her life is nearly 1 in 8. This epidemic calls for awareness and action, now more than ever. Grins for a Good Cause, Patterson Dental’s breast cancer awareness initiative, leverages our nationwide network of 75 local branches to increase breast cancer awareness. Our branches host events and sell pink products to raise money for local breast cancer awareness organizations – some with a local focus, some with a national focus and some with both. Since the Grins initiative took root two years ago, more than $500,000 has been raised to increase breast cancer awareness and help support underserved women and their families who are battling this disease. 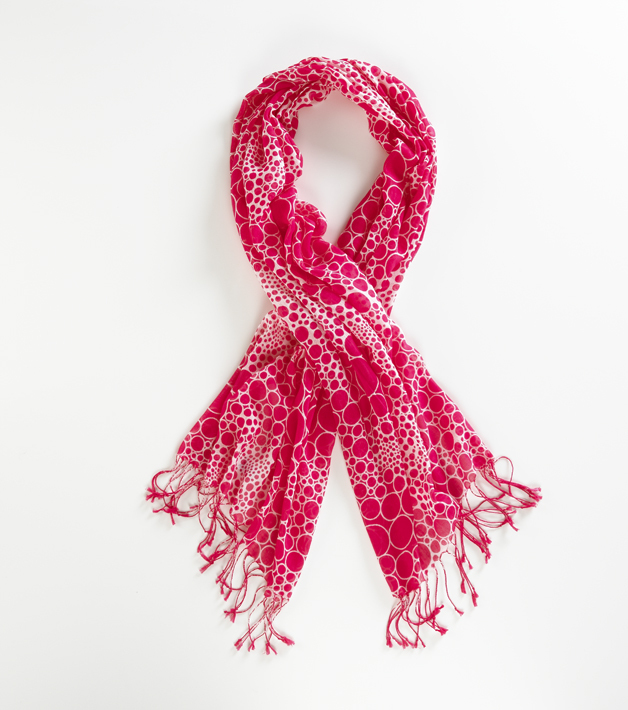 The September/October 2012 Grins for a Good Cause flyer will be hitting your mailbox the first week of September, featuring many great pink products for your office and also some fun accessories like the Tickled Pink Scarf shown above. The best part, of course, is that a portion of every purchase from this flyer will go to a breast cancer charity in your area. Grins for a Good Cause truly is making a difference nationwide, and it’s only with your help that we’re able to do it. If you don’t receive a Grins flyer or would like more copies, please contact your Patterson territory representative or local branch.